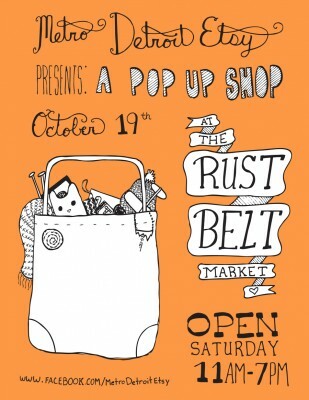 Members of the Metro Detroit Etsy Team are going to be at the Rust Belt Market this Saturday from 11-7 in a special one-day-only pop up shop! 18 crafters and vintage sellers will be there, with all sorts of items for sale. Check out the full list of sellers and more details on the Facebook event page.